Funeral services for Mrs. Minnie Hackett Harlan will be 1:00 P.M. Wednesday, November 14, 2018, at Ligon & Bobo Funeral Home with Bro. David Freeman, Bro. Don McElroy and Jason Redd officiating. Interment will follow at Bethlehem Cemetery at Tuckers Cross Roads. Visitation Wednesday 11:00 A.M. to 1:00 P.M. at Ligon & Bobo. Mrs. Harlan, age 99 of Lebanon passed away peacefully Saturday, November 10, 2018, at the Pavilion in Lebanon. 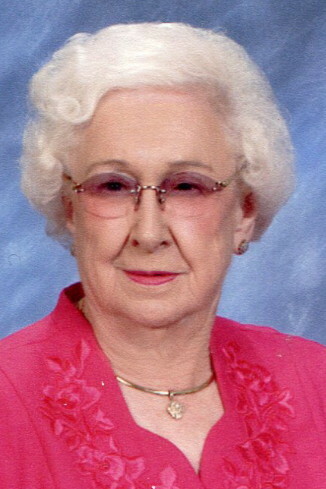 She was born February 17, 1919, in Smith County, to the late Dave and Maggie Hiett Hackett. Mrs. Harlan worked in sales most of her life before retiring. She worked for the Castner Knott Co. for twelve years in Nashville. She married Glenn Harlan of Tuckers Cross Roads in 1952. They owned and operated Harlan’s Grocery for thirty five years. Mrs. Harlan was active in church and civic work. She was a member of the Rome Baptist Church while a teenager and the Edgefield Baptist Church in Nashville. She has been a member of First Baptist Church of Lebanon over sixty years, where she worked as a volunteer in the Prayer Room and a group captain in the LLL Club (Live Long and Like It). She was a member of the Tuckers Cross Roads F.C.E. for over sixty years where she served as president for many years. She won the Best of the Best Award in 2009 and many awards on her arts and crafts. She was also a member of Cedar Senior Citizens where she served as secretary of the board of directors. She moved to Hearthside Retirement Center in 2009. Then in 2017, she became a resident of the Pavilion. She was preceded in death by her husband Glenn Harlan, three sisters Mary Caplenor, Etta Bates, and Lena Mykitta; and three brothers, Henry, Ernest and Randall Hackett. She is survived by her daughter, Glenda (Bob) Redd of Lebanon; son, Mike Harlan of Hermitage; grandson, Jason Glen Redd of Franklin; brother former Smith County Executive C. E. (Ruth) Hackett of Carthage; sister in law, Nancy Hackett of Carthage; many beloved nieces and nephews. Active pallbearers: Kenny, Stephen, and Anthony Hackett, Phil Caplenor, Phil Harlan, and Charles Poston. Honorary pallbearers: Donnell Sunday School Class of FBC, Tuckers Cross Roads F.C.E. Club members, Cedar Senior Citizens members, Bro. Kenneth & Linda Head, Ann McElroy, Betty Kelly, Chris Ballal, David, Charles, Ronnie & Jerry Hackett, Ricky Mykitta, William, James, & Harlan Poston, Kirk & David Brode, Tony McFalls, and Joel Smith. A special thanks to Pavilion, Kindred, Heathside, Dr. Hardie Sorrels, Dr. Robert Woods, and Dr. Roy Terry. Memorials may be made to Cedar Senior Center, 226 University Ave., Lebanon, TN or to the Jordan Hackett Foundation, Carthage, TN. Ms. Minnie was an inspiration to me and so many others in FCE. I loved her stories of years past and how she would talk of times past as if I was a part of all of it. I remember her telling me recently that she was ready to go … Home. Minnie, you’ll be missed by many!! But, we understand and hope to see you again. Miss Minnie was remarkable lady. I only knew her for a few years while she was at Hearthside and the Pavilion although she made me feel like I knew her forever. I miss her so and she will be in my heart and memories forever. She always told me she didn’t want to live to be 100 because that was too old, she said she was ready when the Lord came for her. I know I will see her again and I will be able to listen to her stories once more. Love you Minnie.